These Wilson Jones 5/8" 5-Tab Assorted Premium Metallic Flex-Poly Presentation Binders offer a unique and professional option to keep you and your company ahead of the competition. These Premium Metallic Flex Binders are designed to put a sleek, professional edge to all of your presentations. Equipped with back-mounted Round Rings, two interior pockets for loose pages, business card and CD pocket inside, and a 1.0mm thick flexible poly exterior, these Wilson Jones 5/8" 5-Tab White Premium Metallic Flexible Poly Binders provide you with a unique way to present yourself and your company. Promote yourself and your company in a sleek and professional manner with these binders today. 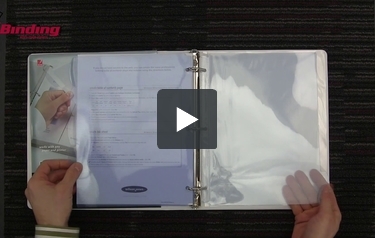 Get a 12 pack of Wilson Jones 5/8" 5-Tab White View Metallic Poly Binders with every order. Product number W55367. After trying a lot of systems of printing tiny labels on screwy label stock, I've discovered these binders. The tabs are clear and the label is at the back page. You still have to work in a ridiculously formatted Word file, but it messes up so much less often than the Avery system I tried for years. This is the best binder for my training sessions and it is easy to assemble without shoving tabs into dividers.